La protezione non è un’opzione! The life of your ski helmet is one of abuse. Even low-intensity shocks during storage, transport, and usage can negatively affect your helmet’s resistance to future impacts. Rossignol helmets featuring our new IMPACTS technology are designed to provide increased durability while retaining their ability to protect against future impacts with no compromise to comfort, weight, or style. Protection is not an option. Choose IMPACTS. 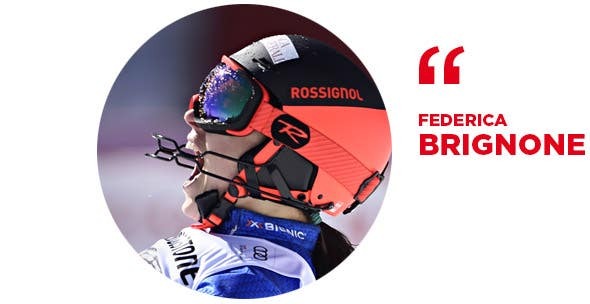 After taking into account the actual day-to-day usage of a ski helmet including, storage, transport, and usage, Rossignol has developed a new technology that protects you longer. Even low-intensity shocks that leave no visible trace can alter the protection helmets provide and negatively affect resistance to future impacts. In order to provide more reliable and durability in its ski helmet range, Rossignol introduces new IMPACTS technology. IMPACTS Technology offers premium protection against multiple impacts without compromising on weight, style, or comfort. "It is extremely important for an athlete to feel safe when training and racing. In Slalom, I take many risks to ski fast and my Rossignol helmet featuring IMPACTS technology absorbs repeated impacts when hitting doors. 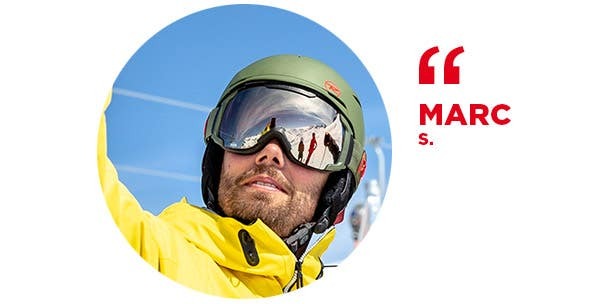 I don’t have to worry about my safety which enables me to focus only on the best trajectory with my skis to win." "We spend every year one week in a ski resort with our family & friends to ride the mountains with the kids, sharing great emotions and enjoying the winter time. But we want to ski safe and be sure that we are protected properly the whole week whatever small shocks. Our new Templar IMPACTS provides us the right protection in a good looking helmet to get fun all together safely." Premiamo la tua fedeltà ! Iscriviti adesso alla nostra newsletter e ricevi subito uno sconto di 15 € da spendere per il tuo prossimo ordine! Inserendo il suo indirizzo e-mail, accetta di ricevere le nostre offerte di marketing in conformità con la nostra Informativa sulla privacy.